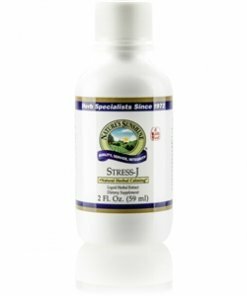 Nature’s Sunshine Stress-J blends herbs that nourish the nervous system. 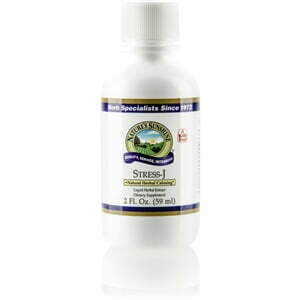 Chamomile, a key ingredient of Stress-J, soothes and relaxes the body, providing occasional stress relief. The other herbs in the formula relax the muscles, alleviate restlessness, calm the digestive system, and support the nervous system. Instructions: Adults: Take approximately 15 to 30 drops (1-2 ml) in water every four hours. Children: Take approximately 10 to 20 drops (0.5 to 1 ml) in water every four hours. A natural and pure extract composed of the finest chamomile flowers (Matricaria recutita), passion flower aerial parts (Passiflora incarnata), hops flowers (Humulus lupulus), fennel seeds (Foeniculum vulgare), marshmallow root (Althaea officinalis), and feverfew leaves (Chrysanthemum parthenium) in vegetable glycerin.